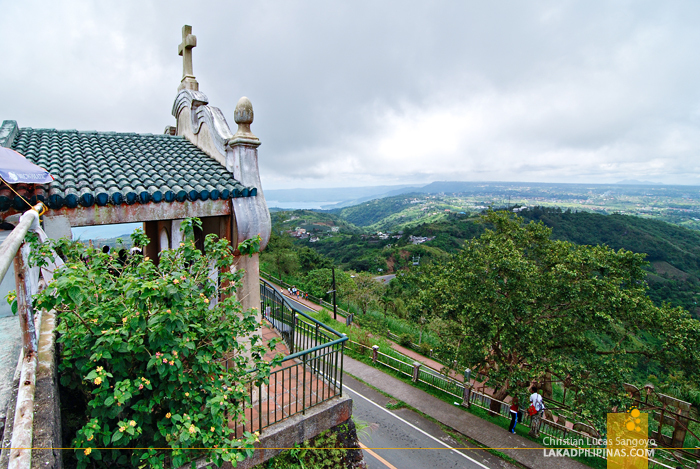 I remember the first time I set foot in Tagaytay City with a couple of office friends; they showed me around the area, tried out leaf dishes at Sonya’s Garden and walked around Caleruega’s sprawling gardens. Then one of them mentioned a palace in the sky. My curiosity got piqued; a palace in the sky? Really? Images of Hayao Mizaki’s anime classic, Laputa flashed before my eyes. 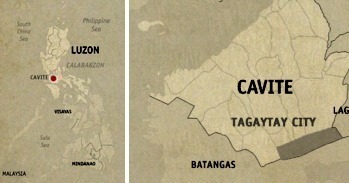 Is there really such a place in Tagaytay City? I asked my friend. She quickly backed up, saying it was more a park really than a castle. 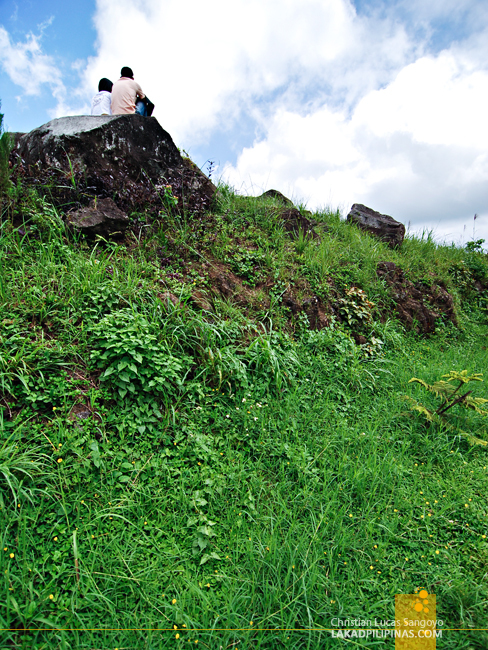 Dubbed as People’s Park in the Sky, it is located at Mount Sungay, the city’s highest point. We were unable to visit the place then since it started raining; I was told that the road leading up to People’s Park gets really foggy during those times. 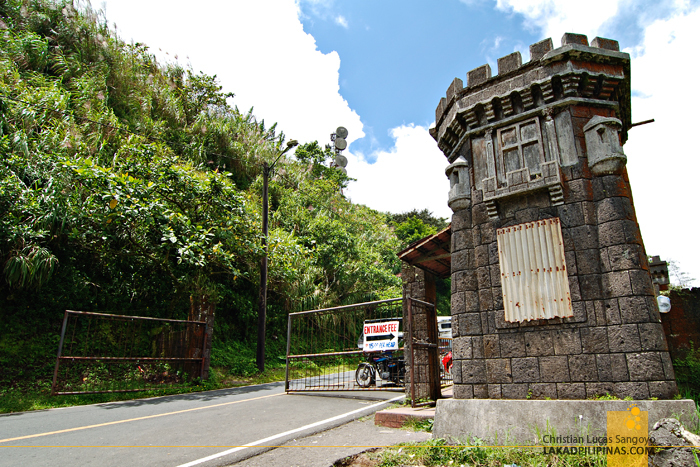 It took about a year before I revisited the highlands of Tagaytay and finally got to enter its archaic gates. Getting there proved to be a challenge for first-timers. Coming from Starbucks Coffee at Magallanes, we initially thought we could simply rent a tricycle all the way to the park, but this proved to be too expensive since it is apparently very far from the place. 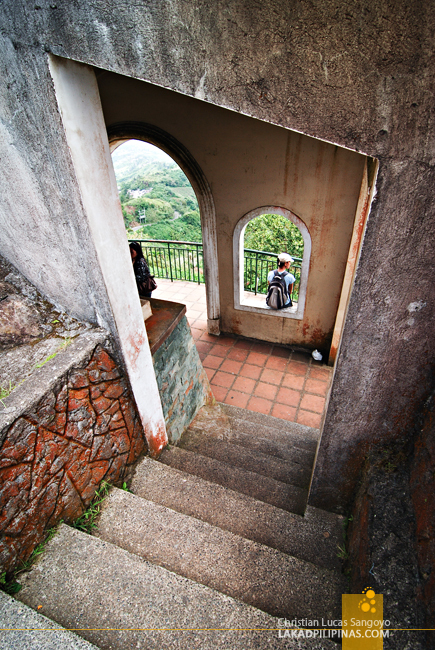 A jeepney was also out of the question since they only go as far as the rotunda in Olivares. The only way to go there if you don’t have your own car is to first ride a jeep to Olivares’ jeepney terminal (Php8.00) and board another jeep to People’s Park (Php10.00). 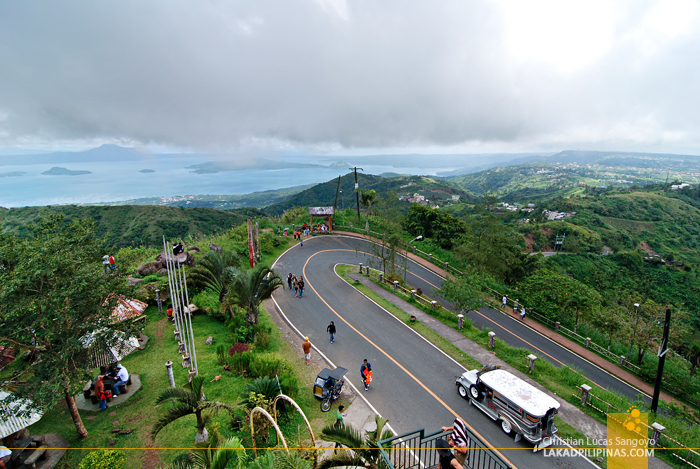 The ride goes upwards and upwards until you reach Tagaytay’s apex. 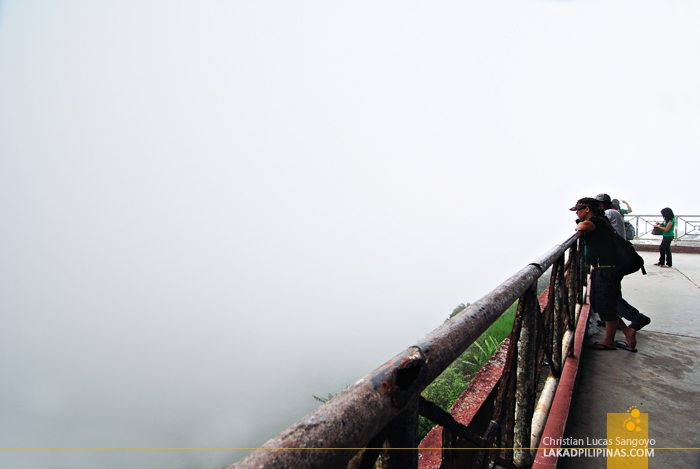 From the jeepney depot where shacks selling pasalubongs and snacks abound, you have to hurdle a hundred or so meters of incline to finally reach the ruins that is People’s Park in the Sky. The supposed palace was built in 1979 during the Marcos regime. 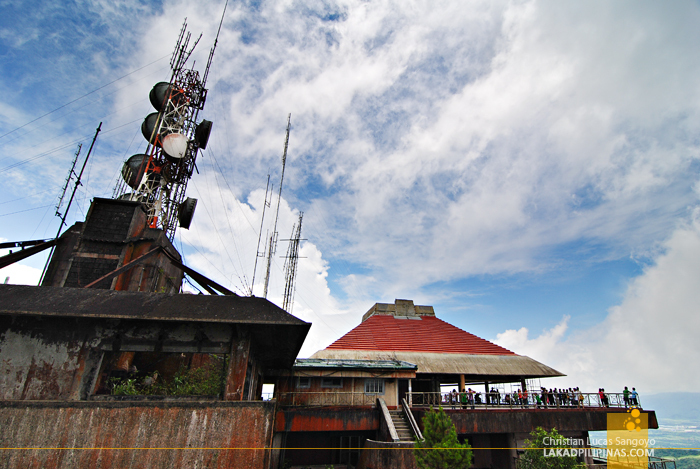 It was to serve as a guest house for then U.S. President Ronald Reagan who was to visit the Philippines. The EDSA People Power happened, the Marcoses was ousted, the visit never transpired. And the palace that was supposed to be in the sky? Abandoned. The Palace in the Sky moniker was dropped and was quickly replaced by People’s Park in the Sky. Which I guess was a direct outcome of the People Power Revolution of 1986. Since the project was scrapped, the palace was forgotten and went into utter disrepair. 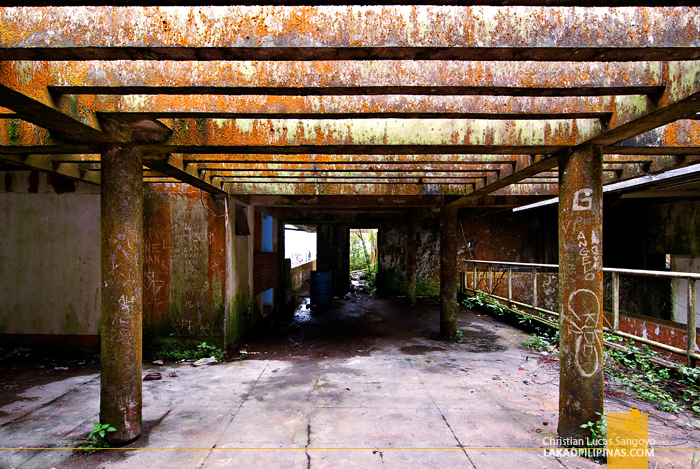 Paints peeled, railings rusted, walls crumbled. 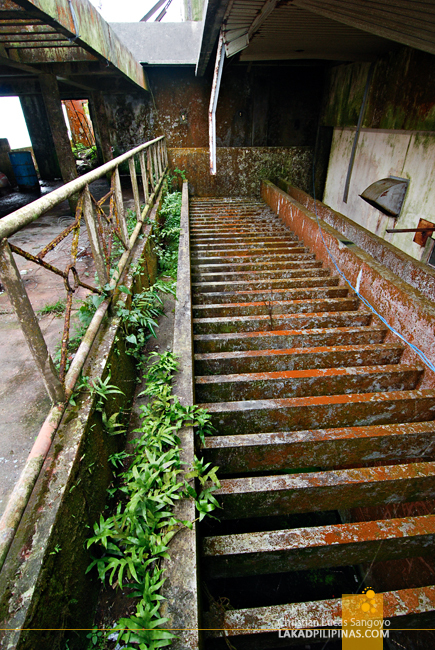 Weeds and molds grew everywhere; they made the palace their home. 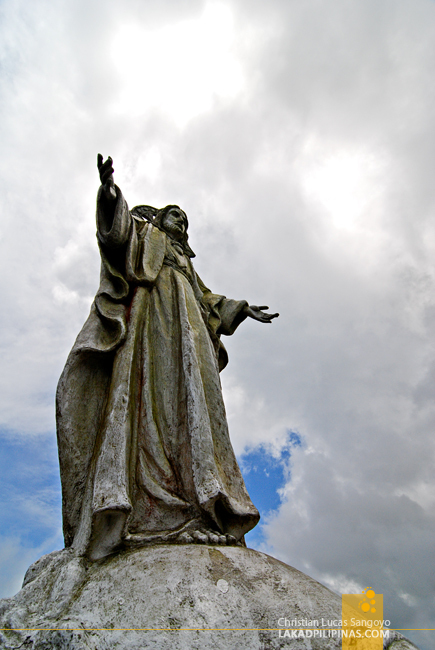 It was at such state of abandonment when I first saw Tagaytay’s People’s Park. 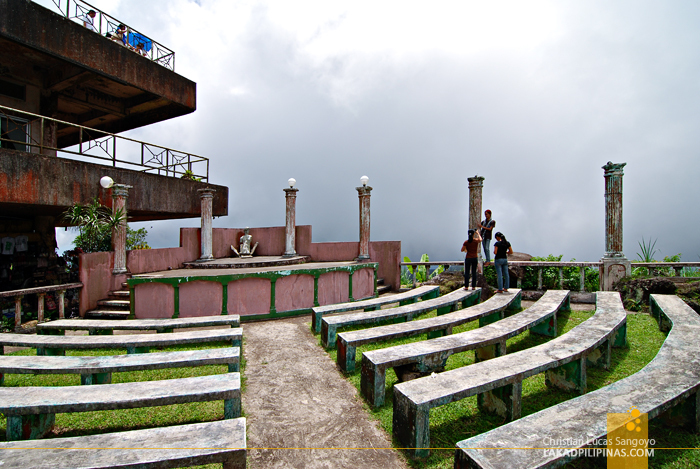 Clouds usually swirl around the old structure, enveloping everything in surreal whites. The atmosphere fits perfectly with the dilapidated affair of People’s Park. It’s like you’re in a zombie movie or something. It’s magical. Well, at least for someone as imaginative as me. An amphitheater filled with rows of curved concrete benches sits in the middle of the park like ribs of a fallen dinosaur. Peeling Greek columns line its railings. I’m not sure if the small stage at one of its corners is being used for concerts and presentations, but it looked as abandoned as the rest of the building. 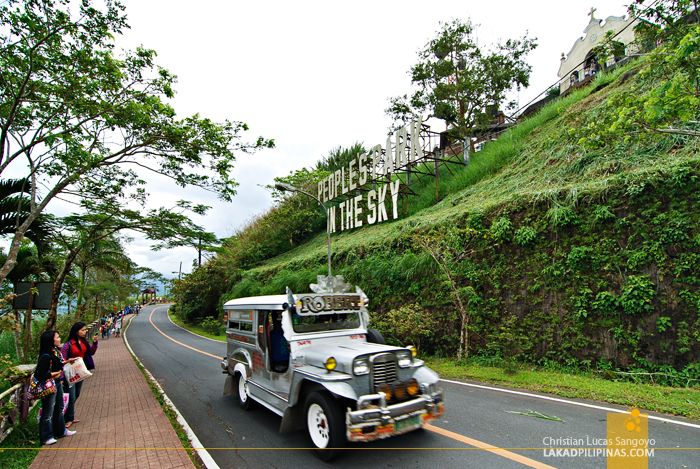 On sunny cloudless days, the view at People’s Park is breathtaking; a panoramic 360-degree view of the area surrounding Tagaytay City opens right before your eyes. The undulating green curves of the hills. The outlines of Taal Volcano against the light blue waters of the lake. The geometries of fish pens surrounding it. A mini chapel of sorts complete with green tegula roofing is built on the park’s right wing and a larger-than-life concrete sculpture of Christ is perched on top. I’m unsure if they hold ceremonies here though. I think not. People’s Park in the Sky is hardly a park. And although it’s as touristy as it gets, it is a place of abandonment. A place where there are no doors. The walls always wet with humidity. The floors filled with clouds of puddles. The ceiling, a web of exposed rafters. You look outside and all you’d see is a sea of white fog. It’s a park filled with broken dreams, but still, it is a place filled with magic. GPS Coordinates: +14° 8' 30.65", +121° 1' 19.24"
I have two Malaysian friends coming with me and its my first time to go to Tagaytay. Do you think its worth the trip going in Palace in the Sky? We only have limited time to roam around coz by 4pm we have to get back to Manila. Hi there, sorry for the very late reply. Anyways, if you're not gonna do anything in Manila, Tagaytay is a good choice, just be sure to go very early to avoid the traffic. libre po ba ang viewing dito? Hi Alynko, last time I went, they were collecting PHP 30.00 entrance fee. Hello, Tanong ko lang kung may jeep na pumapasok dito for commuters? para sa mga elders na di kayang mag lakad ng matirik? 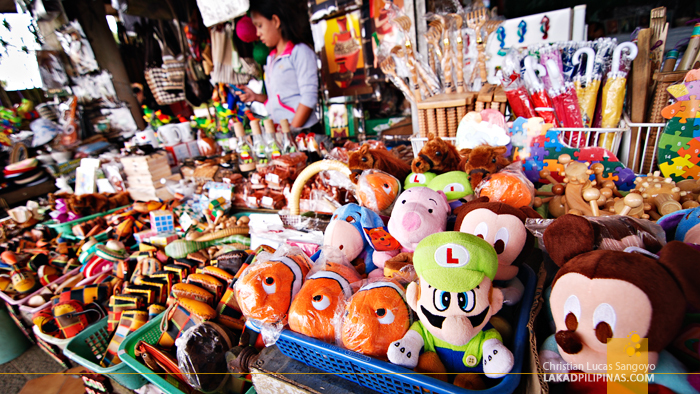 Hi, there are no taxis in Tagaytay, however, you can rent tricycles instead; although it is quite expensive. The cheapest way is to commute via jeepneys instead. There are quite a lot of jeeps in the area. Hi, I'm not sure about People Park's schedule during the holidays. Were you able to go?